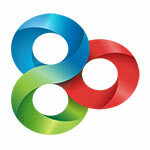 TSF Shell 3D Launcher pro Apk is a Personalization App for Android. Download last version TSF Shell 3D Launcher pro Apk for android from revdl with direct link..
TSF Shell is a brand-new 3D launcher that will subvert your concept of the mobile device home screen operations. It offers smooth, unique and customized man-machine interactive operation experience. You are allowed to define all the elements of the home screen freely and efficiently. TSF Shell keeps creating new features and exclusive 3D widgets that will bring you amazing operation experience and unprecedented visual. 1.Fantastic animation transition effects. All operations, including deletion, addition, menu showing-up or vanishing, are provided with natural, glaring and butter-smooth animation transition effects. 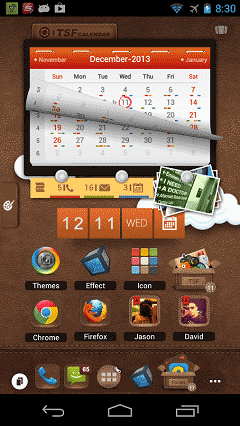 2.Miraculous and effective 3D home screen switching mode and freewheeling home screen element layout mode. 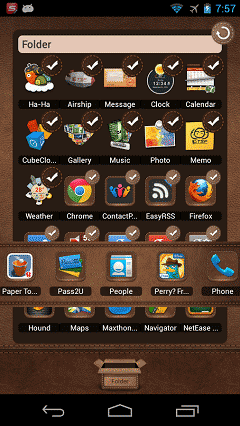 More than 10 independent layout home screens supported. 3.Unlimited dock bar. Ability to change its position, length and angle as well as to modify the size and the status (hidden or showed) of icons and folders in the dock bar. You can open the apps and the folders in the dock bar with wave-sliding mode. 4.Batch icon selecting for home screens, folders and dock bar. 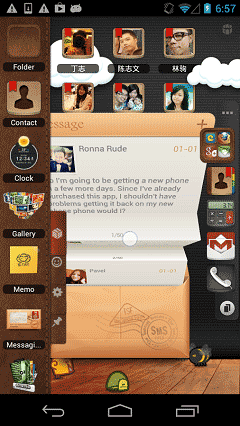 5.More than 10 TSF Shell exclusive widgets, such as Message, Clock, Weather, Memo, Music, Gallery etc. All 3D widgets provide unique visual and operative experience. Very impressed with d huge modded games compilation.But d download speed upsets.